Pleasant surprises and finding treasure is one of those spices in life that keep things interesting. Let me entertain you with the results. 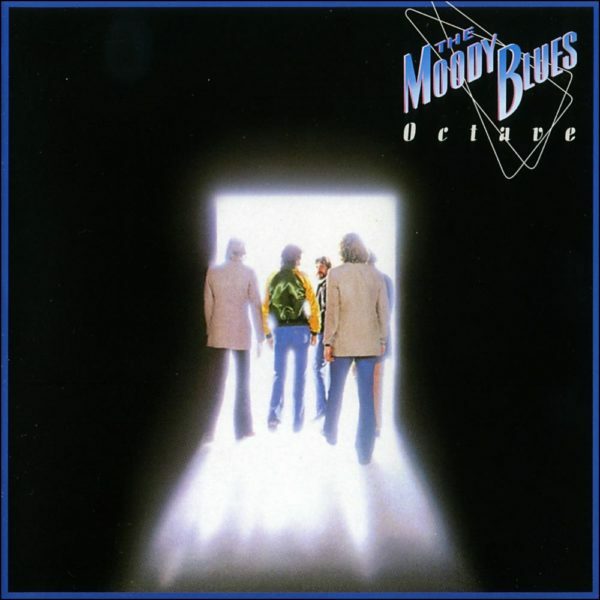 Not only did I discover some great historical recordings – I also brought home empty record jackets from classic albums from the Moody Blues and Blondie which will make great art for the walls of my dwelling which should give you some great ideas …. Imagine having the pleasant surprise finding something that sparks a personal memory of a profound experience in music from 40 years ago. We had one of those soaking, steady Nashville rains. Some get through it by reading a good book and some people binge watch videos. I decided to spend the afternoon visiting a few thrift stores up in Gallatin and Hendersonville and look for vinyl records. We have some very good vintage record stores around Nashville. However, this trip is more about the chase. I get to feel like I’m Indiana Jones. One man’s trash is another man’s treasure. Among the majority of obscure Gospel albums in terrible condition, I did find some cool items for 49 cents and 99 cents. I did find some interesting jazz selections not in the best condition that I wasn’t sure about. I snapped a few photos of the front and back jackets for research once home. While I don’t want to miss finding some rare jazz sides, I’m still a miser even at 49 cents to buy just anything for the sake of buying something. My first surprise was a box set of the 1982 “Haydn The Creation” on London records in what appeared to be in an unplayed condition. All the papers and program notes were there in perfect form. I’ve been a real “Haydn head” since I was around 20. So – this find was particularly exciting to me. 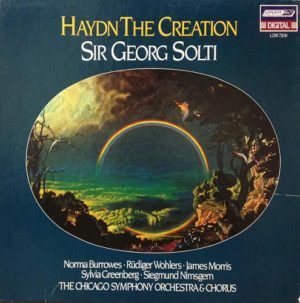 This particular box set was hailed as one of the best works by Haydn while the orchestra director, Sir Georg Solti, at 70 years old made his greatest contribution to his craft. When I slipped the discs out of their anti-static sleeves, the surfaces were shiny and so carbon black as if I was the first to do so. 99 cents!!! So – the jacket is obviously generic for that series of recording and record product. The best part is the very long description on the back of the jacket describing the process from start to finish. 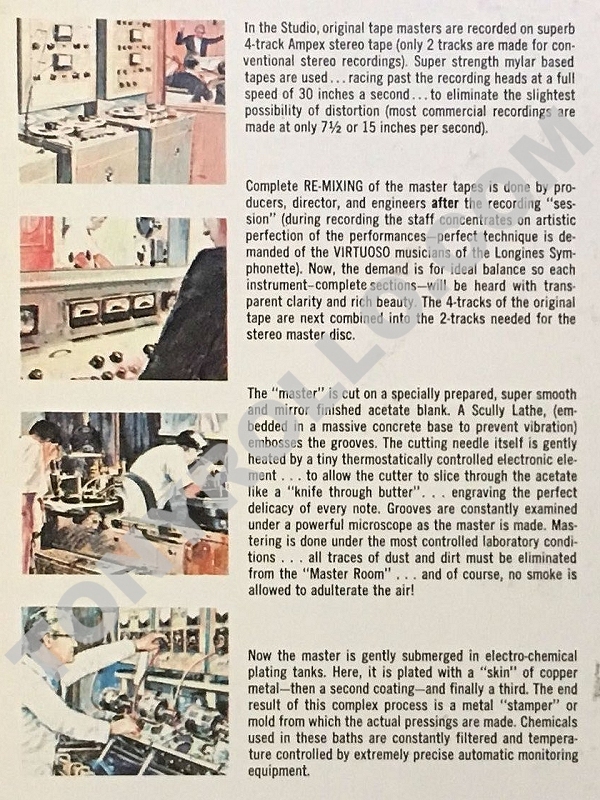 How they recorded on the latest 4 track Ampex tape recorders at 30 IPS and pressed limited albums direct from the metal master! Inside the jacket was a three year guarantee and other papers. Once I got home, three of those one sided flexible plastic discs slid out. Demos that were NOT FOR SALE. A Judy Garland performance – Romantic Guitars – and “sweet music for dancing and dreaming”. What a find! If only for the sake of history in recording. Nowhere inside or out is a copyright date or year of manufacture. This was really frustrating … but points to a time of very late 1950s or very early 1960s. 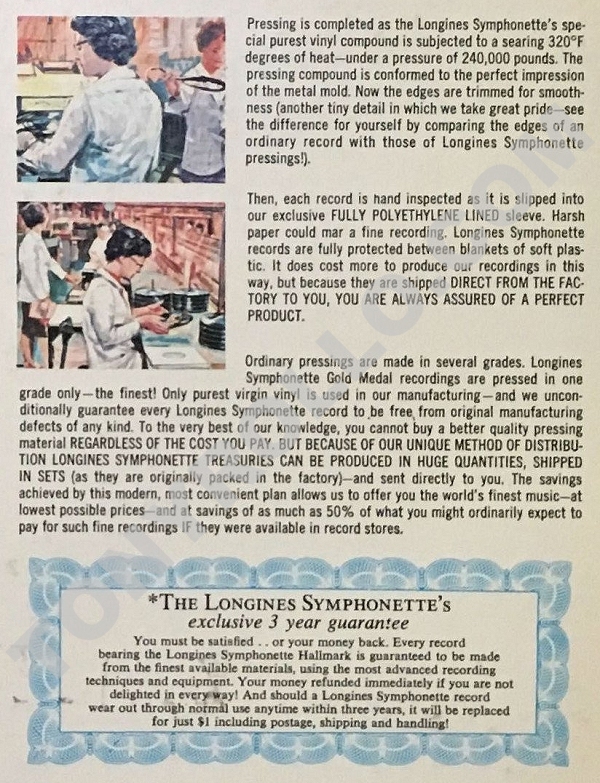 The graphics and packaging – along with paperwork with coupons to “add 50 cents to order stereo records” tells me initially it’s manufacture is the late 1950s. Apparently this was a series that was direct to consumer. Maybe a subscription? The disc itself is of great quality. Trimmed with precision and so precisely manufactured. I mainly brought this home mainly for the amazing quality of the manufacturing along with the perfect condition and its obvious historic content. 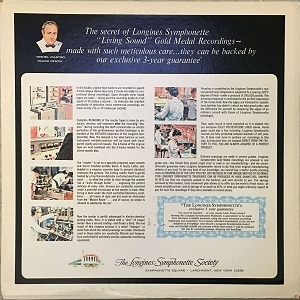 Also – along with the promise – according to the jacket, they were first to use the new 4 track 30 IPS Ampex machines to record and then mix down to stereo. 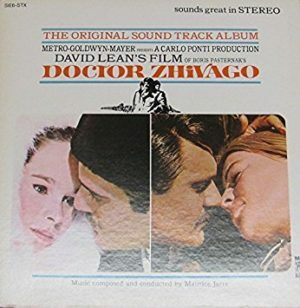 A pressing of music from the Doctor Zhivago movie on a single disc. The jacket opens up with a booklet promoting the movie. Lots of production stills and info about most all the actors. While the outer jacket is damaged and the disc is good but has a dirty finish – which should be able to be brought back with a proper cleaning – the rest is well preserved. I also found a sampler from the late 1970s from Myrrh Records of early Christian Rock. The sleeve is full of info of artists such as DeGarmo & Key, Fireworks, Farrell & Farrell, Steve Camp and many others. No Jacket! However – There may have been no jacket as it was promotional only. My digging through info from Google does reveal this is one of the greatest pressings of 1978! Also – some experts in the field say this pressing is in the top 100 CCM records of all times! And to think I found it in a thrift store for 49 cents !?! The record itself is in pretty good condition without scratches. This era of Christian Rock is quite collectible. I have quite a good collection from that era bought new and in perfect condition because of my early days as a “controversial” DJ of that time for that genre. 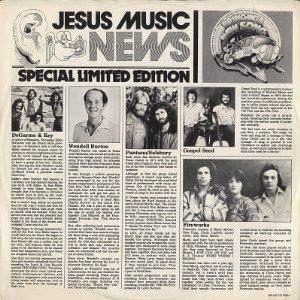 The most interesting aspect is the description of a Nashville native 18 year old new artist named Amy Grant (on the back side on the bottom corner) with details of her first album along with her promotional photo. We all know how she turned out in the professional world! I did not dig through all the bins in that particular thrift store. So – I will return soon and I just may find the jacket for that sampler album if it exists – but evidence initially shows it may have been only distributed in a very limited quantity without a jacket – only in a sleeve. Dig that?!? But – even without the jacket in its clean condition with the original sleeve with such a great original condition – it is obviously a valuable find. Actually – the most expensive part of manufacturing a vinyl album is the jacket! The vinyl pressing in quantity – even 1000 pressings at a time is quite inexpensive. It is the packaging – the jacket – the greatest cost. 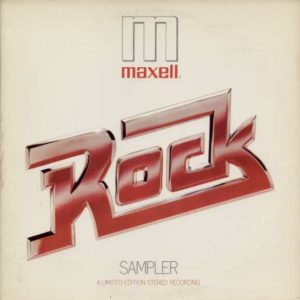 Maxell recording tape released a series of vinyl albums to advertise and promote their magnetic tape products. Reel to reel and various cassette formulations. IRONIC as they were promoting recording tape by distributing vinyl LP albums … ?!?! I found this copy of the ROCK sampler album. I knew I already had a copy – but I bought it anyway knowing its rarity and quality. I remember vividly when these samplers were released back in the day. They also did a jazz sampler and classical sampler and some others … I bought them all back then. So it only behooves me to grab them up is I find them now. Maybe I’m more of a vinyl expert that I realize? At least for that era around 1978 to 1982. That era of 1978 to 1982 was the pinnacle of the recording arts of all times. I would be so inclined to resort to fisticuffs with any fool in a back alley who would dare to oppose that viewpoint …. It was a time where magnetic recording was at its maximum achievement. Also – musicians had to actually have skill to play their instruments – even synthesizers and any device of electronic music. When quantizing came into play – it was the end of skill and true musicianship. Even DEVO had good chops! 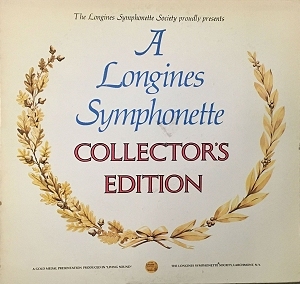 Ten albums in a double box set – individually sleeved set. Obviously in a completely unplayed condition … gleaming vinyl. It screams to be played with a high quality cartridge on a quality vintage stereo system. Perfectly new condition all complete. I’ve seen this on Ebay with missing discs … or in really rough condition. This may not be a big dollar collectable – but it is big in content. Yet – this is probably one of the best surviving editions … A REAL keeper to enjoy! BUT – The best couple of finds were empty jackets with no vinyl discs !!! No disc? Just the jacket? I negotiated with the thrift store owner who came to the bottom line of 49 cents each. I was good with that price. See – That is what a major part of vinyl records were. The art of the album jacket. They were real works of art for those who took it seriously at the time. 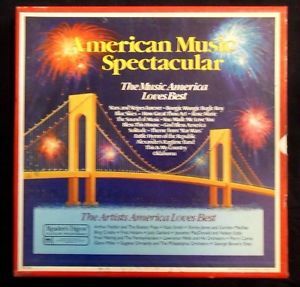 The sound on the recording was art – but also the packaging was art and a tremendous opportunity in promotion. There are books devoted to album art. 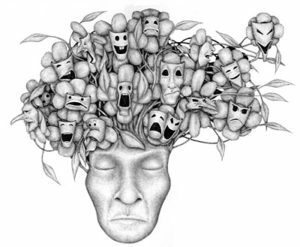 The images on the jacket and the liner noted were very important … it added to the experience. I will say that again – The album art added to the experience! I attended the tour for this album at the Atlanta, Georgia show at the Omni arena. Just 17 years old and off on my first adventure to a destination 500 miles away from my home with two buddies who were also 17 years old to experience a great adventure. It was a true quest. We were not interested in anything else – rejecting food other than drive through burgers – no female interest – but the great goal we were dedicated to do. I really enjoyed reading this article as I sit drinking coffee on a dreary Sunday morning on the Jersey Shore. After a week of dreary rains it was sunny today here in Nashville. Tomorrow, I am traveling to another small town to the north at the border of Kentucky to crawl through thrift shops in search of classic vinyl.